Mother Nature likely will continue to cause potential problems for car dealers throughout the country. An estimated 1 million vehicles were destroyed or damaged by Hurricanes Harvey and Irma in 2017 - most of them the result of massive flooding caused by the storms. 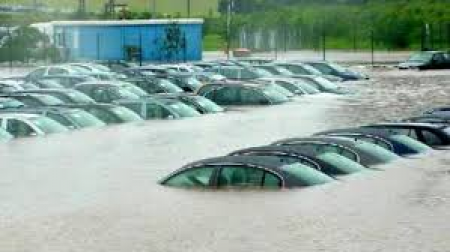 History tells us not all those vehicles will disappear from the market and this leads to a very important question: What do dealers need to know about handling a vehicle that has been damaged by flooding? Some of the damage - particularly electrical damage - might not reveal itself right away, and it often escapes the notice of mechanics and car inspectors. But those trained to see flood damage can detect it if they know what to look for and where to find it. In seeking to acquire inventory, you should look to protect yourself from becoming the victim of vehicle fraud just as any other purchaser should. The NICB created a database called VINCheck the public can check to see if a vehicle has ever been declared as salvage by one of NICB's member participants. Assuming it is roadworthy, there is nothing that would prohibit a dealer from selling a flood-damaged vehicle. Every state has consumer protection statutes that prohibit unfair and deceptive acts and practices. The question may be asked as to whether a dealer is under an affirmative duty to discover flood damage. While that is largely a matter of individual state law, the axiom for all dealers is that if you know, you must disclose it. Attempting to hide the damage, once known, will only lead to disaster for the dealer. A flood-damaged vehicle can be a great value to a consumer. But failure to disclose the extent of flood damage and to ensure proper branding on the title where required will leave the dealer washed up.